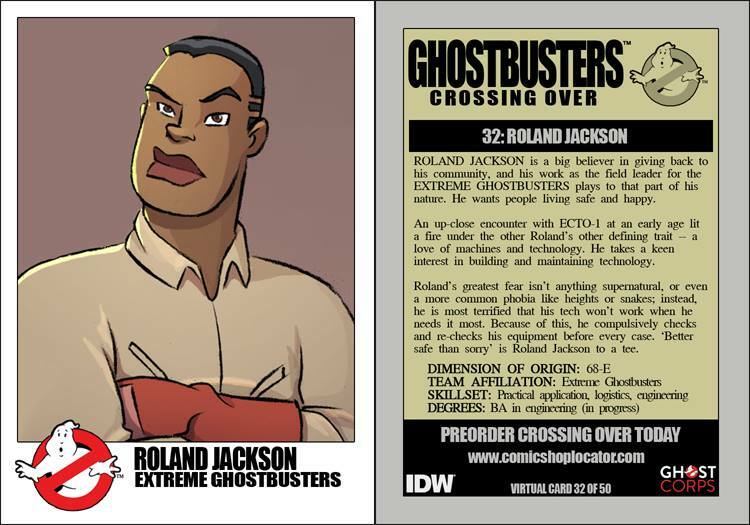 ROLAND JACKSON is a big believer in giving back to his community, and his work as the field leader for the EXTREME GHOSTBUSTERS plays to that part of his nature. He wants people living safe and happy. An up-close encounter with ECTO-1 at an early age lit a fire under Roland's other defining trait -- a love of machines and technology. He takes a keen interest in building and maintaining technology. Roland's greatest fear isn't anything supernatural, or even a more common phobia like heights or snakes; instead, he is most terrified that his tech won't work when he needs it most. Because of this, he compulsively checks and re-checks his equipment before every case. 'Better safe than sorry' is Roland Jackson to a tee.